The nation's fourth largest carrier made an announcement recently that ends subsidized handset pricing for the carrier in 2013. But before the ball drops in Times Square and the mobile operator puts away its checkbook, T-Mobile is giving customers once last chance to take advantage of as much as $200 off the down payment on new models. The rebate brings the down payment required to pick up some pretty big name models down to the low, low price of zero with the balance getting paid off over 20 months. 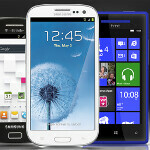 The phones available for $0 down include the Samsung Galaxy S III, the HTC Windows Phone 8X and even the Google Nexus 4. 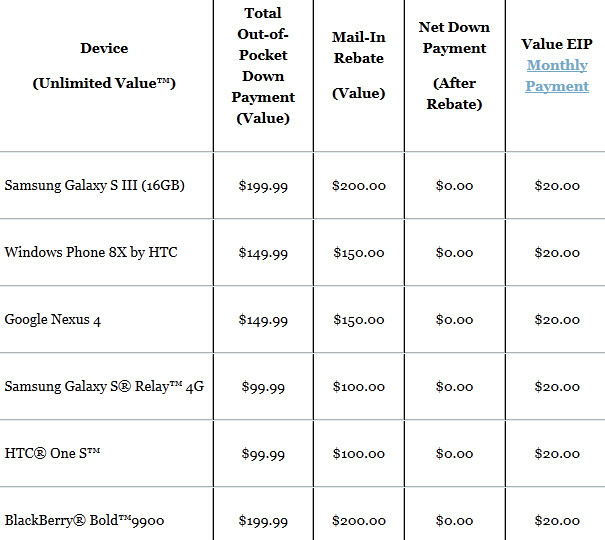 With all of those handsets and some others, you pay $20 each month for 20 months to complete the payment of the phone. Some models, like the Samsung GALAXY Note II will require a $99.99 down payment (after the $200 rebate) in addition to the EIP of $20 a month for 20 months. Of course, you will need to sign a two-year contract for the Unlimited Value plan in order to get any of the rebates. The deal starts on Friday and runs through the end of the year. nice.. wish my carrier could offer the same thing! For the record, Costco will continue to subsidize T-mobile phones (i.e., Classic plans), as stated in an email from the head of the firm operating its kiosks. Um your math is wrong, however I get the sentiment, why pay just add much for the phone with tmobile just to get bad service with no lte? you pay $0.00 up front (after rebate). Total cost of the phone after 20 months is $400.00 and not $600.00.